When your dad owns a motorcycle company, you as the children have a very important role in the business. You are to go racing. 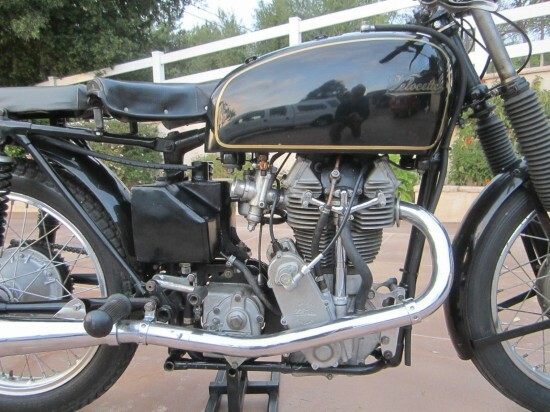 This is what Percy and Eugene Goodman did for their father, the owner of Velocette. They built an over head cam racing bike, put Alec Bennett, an established racer, on it and went to the Isle of Man. They won in 1926 and the motorcycle they built was the bevel drive, OHC, KTT. K for camshaft, TT for Tourist Trophy, which they won. 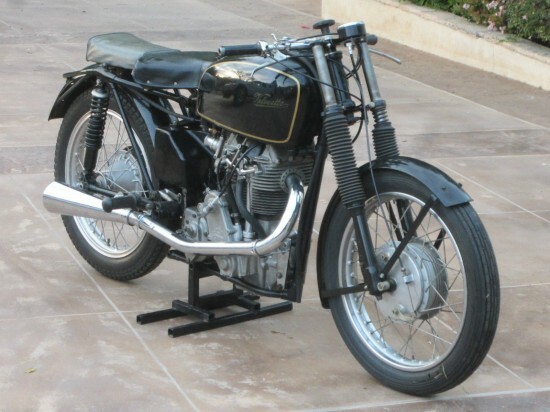 This 1939 Velocette KTT Mark 8 was the first iteration with a rear swing arm, but also the last version, production would end in 1949. Factory built racer with 350cc single cylinder overhead cam engine. 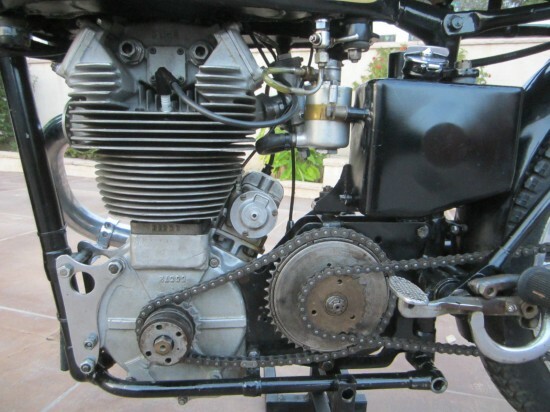 Engine # KTT/1074, Frame # SF/257 Purchased from original owner/racer approximately fifteen years ago out of South Africa. 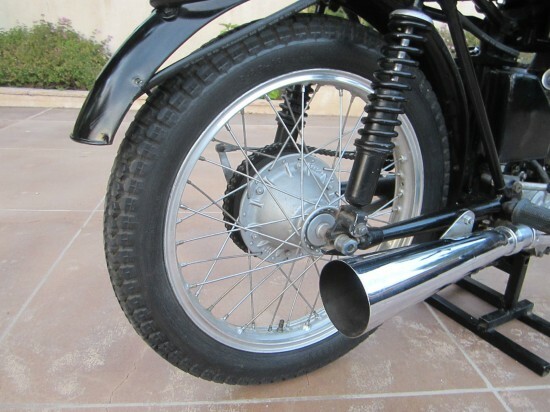 Sporting later year Velocette hydraulic front suspension and full width front brake. Later year rear shocks mounted with original rear “air shocks” present and included in the sale. Very rare and desirable pre war British racer. An excellent investment! 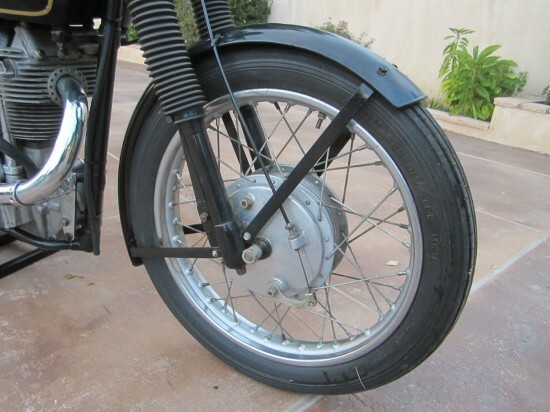 Early in the production of the KTT, Velocette developed the positive stop foot shifter. The Velocette KTT success at Grand Prix racing was helped along by riders like Stanley Wood who gave valuable input into design and performance. It was Stanley’s suggestion to move the engine forward and lower in the frame to improve handling. Over the 8 Mark versions, other improvements included an aluminum cylinder head, enlarged over time for better cooling and therefore more power. In 1937, Velocette designer Harold Willis borrowed air suspension developed for airplane landing gear, and grafted them onto a KTT to create one of the first rear swing arm suspension.